It is said that the Riva Tunnel is “mythical”. 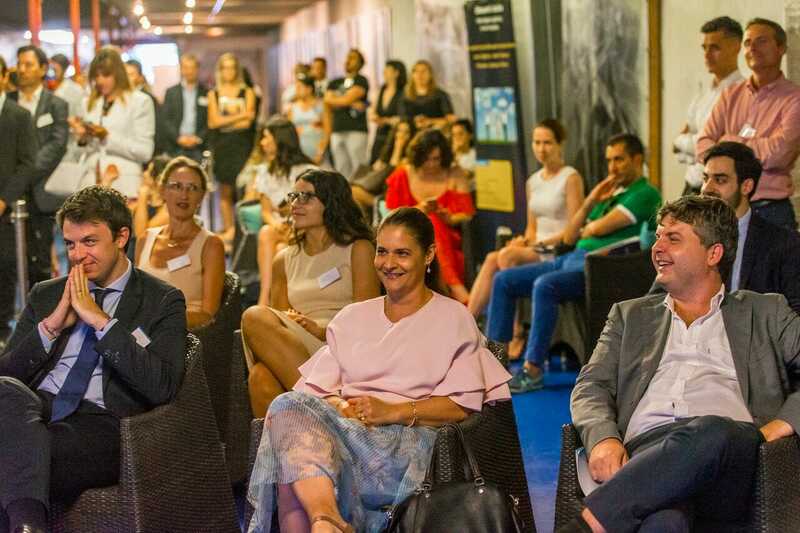 It certainly is and Emmanuelle Ragazzi-Lavarello of Business Time knew it was the perfect spot to present a legend of the yachting world to an intrigued audience. This wondrous magic cavern dug into the Rock under the Palace more than lives up to its reputation. And Lia Riva, the seventh-generation head of the Riva luxury speed-boat empire lights up the tunnel with her stories of personal encounters with a celebrity list that would make a Hollywood producer’s head spin. Here are some memorable moments recounted by Lia. 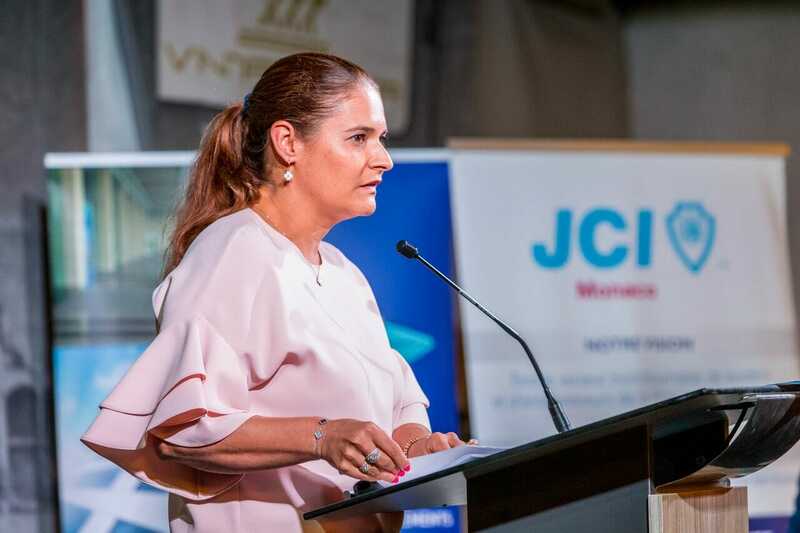 HelloMonaco had the pleasure of interviewing her on the occasion of the Business Time’s Yachting Evening with Monaco’s thriving “Junior Chamber of Commerce”. HelloMonaco: Do you have a personal story to share with HelloMonaco about the many celebrities for whom a Riva speedboat is a prerequisite for “the good life”. Lia Riva: I have many. Sean Connery was our next-door neighbour in Marbella, a good friend of my father. It’s a special memory I have of those trips with him on his boat. He was so amusing and his Scottish accent added a special spark. He would come over to our house often, to drink and eat. I have fantastic memories of moments with him – he was a real gentleman. HM: Who else in addition to Royalty captivated you? LR: Definitely Ingrid Bergman. She used to go out water-skiing with my father. 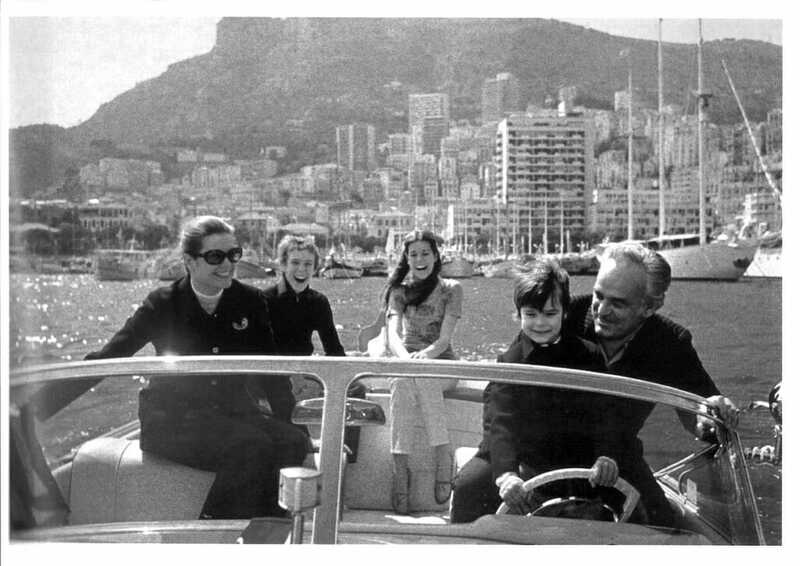 Isabella Rossellini, her daughter, had a sort of glint in her eyes looking at them – it was a special close friendship born around around water-skiing, legendary and very cute. HM: Your grandfather raced boats did he not? Did you ever want to race, yourself? LR: My grandfather was a multiple world champion at racing speedboats. He would race on lakes with the boat touching the water in just three points; it was exceptionally dangerous. If you hit a log! My father was also a champion, just one time in his case and then turned his attention to building pleasure boats, the incredible Aquarama. And, of course, he had to pay attention to the business side of Riva, not just race. I did not go into racing myself but I got excited about doing something very special related to it. It was a wonderful idea that is a fantastic memory for me – we created an event combining the Historic Grand Prix Racing and also historic speedboats and racing – we had on display here magnificent boats from the 1930’s and 1940’s. It was the most beautiful event imaginable. HM: I see a giant picture of Peter Sellers in a Riva in the Tunnel here. Thinking of two of the world’s most brilliant funny men – Peter Sellers certainly and Roberto Benigni. Who do you prefer? LR: Peter Sellers was so funny, I adore him and he is one of many like Jean-Paul Belmondo, Sophia Loren, Brigitte Bardot, and George Clooney who are high profile in the history of Riva. Benigni and Sellers, they are very different; you can say they are both geniuses. HM: This is a good subject on which to finish – genius. That would be one thing that Carlo Riva had in common with Peter Sellers as well as the Aquarama speedboat itself. LR: Yes, the Aquarama is a work of genius. 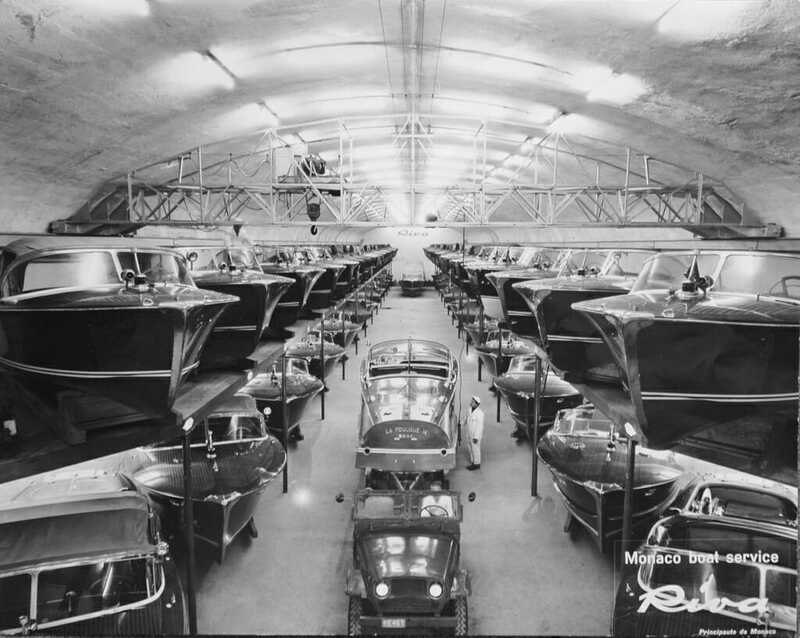 I have many historic pictures that I can share with HelloMonaco readers – celebrities queued up to be owners of the Riva Aquarama, including Sophia Loren and Jean-Paul Belmondo. Emmanuelle Ragazzi-Lavarello, Director of Business Time at Monaco’s Junior Chamber of Commerce means business. 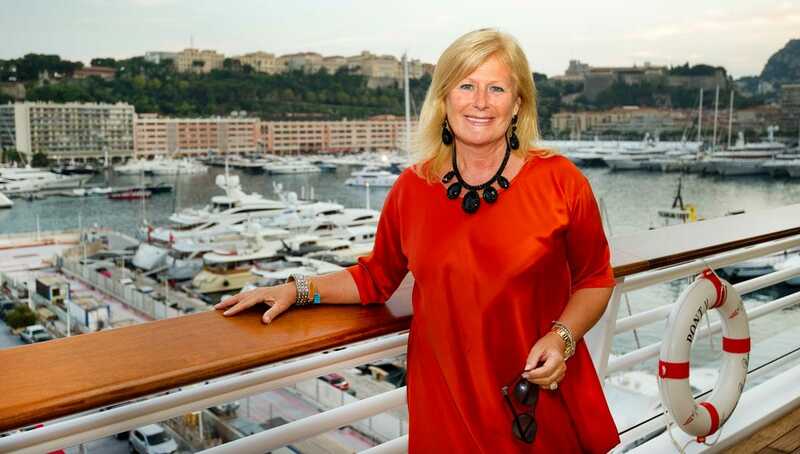 She packs her program with the elite who head up Monaco’s Yachting institutions. 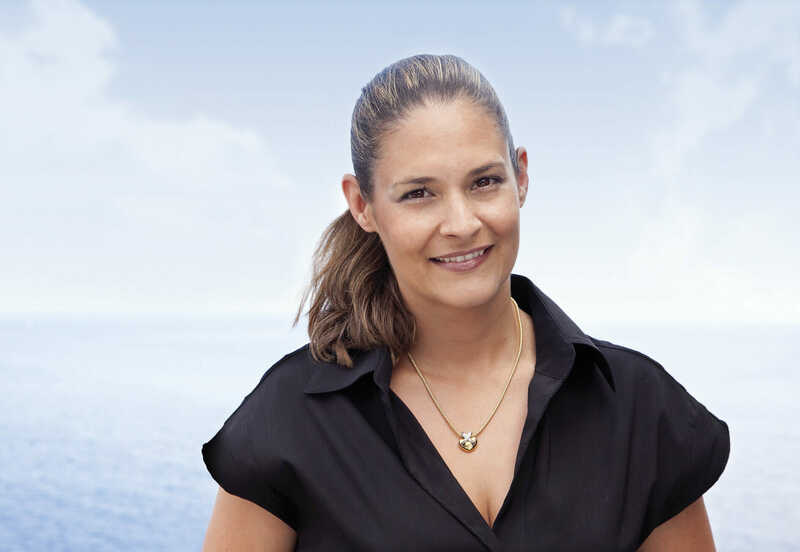 HelloMonaco had the opportunity to interview not only Lia Riva but also Gaelle Tallarida, General Manager of the Monaco Yacht Show. HelloMonaco: You have grown up with this Show – from it being a baby. Now, together with the Grand Prix, it is a crown jewel of the Principality. What is your happiest memory in all this time? Gaëlle Tallarida: There is a truly happy moment every year. It comes at the end of the Yacht Show. We have a celebration, my team and I together on the Quai where it all started twenty-eight years ago. The yachts are all blowing their horns in salute, celebrating with us. We are like a family and it is time of great happiness. The team has worked incredibly hard all year to arrive at that day. And you can imagine, all those hours, more hours than we spend with our actual families. I believe that is one of the main reasons the team is successful. We may bring together different points of view but then we bond together like a family. This has always been my vision of how a team should work – and it is one of the secrets to the success of the Yacht Show. HM: You must have met some amazing personalities in the Show. Were there some “celebrity” moments that stand out – that you will always remember. GT: Raphael Nadal creates an impression that is unique to him. We arranged a special reception; we wanted him to feel comfortable in a setting where there were not too many crowds and onlookers – because the Yacht Show is typically very busy. And it was a very pleasant occasion – someone so famous and accomplished yet who is very discrete and keeps a low-profile. He makes an unusually strong impact, due I think to this aura of gentility. HM: You and your team work incredible hours all year to put on the Show – how do you find time to relax? Do you feel like sailing away in a yacht to relax and re-energize. GT: I don’t have much free-time. But I do make the most of any interval I have. I have a little girl aged four and a boy aged nine. If I have an opportunity, I will travel with them. This is my reward that I look forward to, that makes it all worthwhile. I delight in travel and doing it with my family. HM: What was your last special trip with your family, and where to next? GT: Japan was the last and next one that I am excited about is Morocco. When I am working really hard – you can imagine how much energy we put in throughout the summer – I know that later, even if it is only two days – hopefully sometimes it is possible to find a week – there is that special something at the end of the rainbow. HM: For your speech this evening what is the most important message you would like to convey to the young people here? GT: You cannot always follow all your dreams but if you are passionate about what you do, then you can achieve amazing things. If I were not passionate about my work I could not create the Monaco Yacht Show. It takes so many hours, so much energy and indeed sacrifice and constraints on your personal life. So you have to be passionate about it because it is such a big part of your existence. My message to young professionals is to do everything they can to be in a job that they are passionate about. That is the route to an amazing future.